...and here's one that would draw crazy money on ebay. 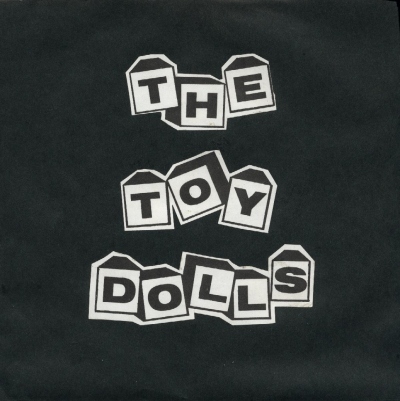 The 1st Toy Dolls 45 signed with p/s! 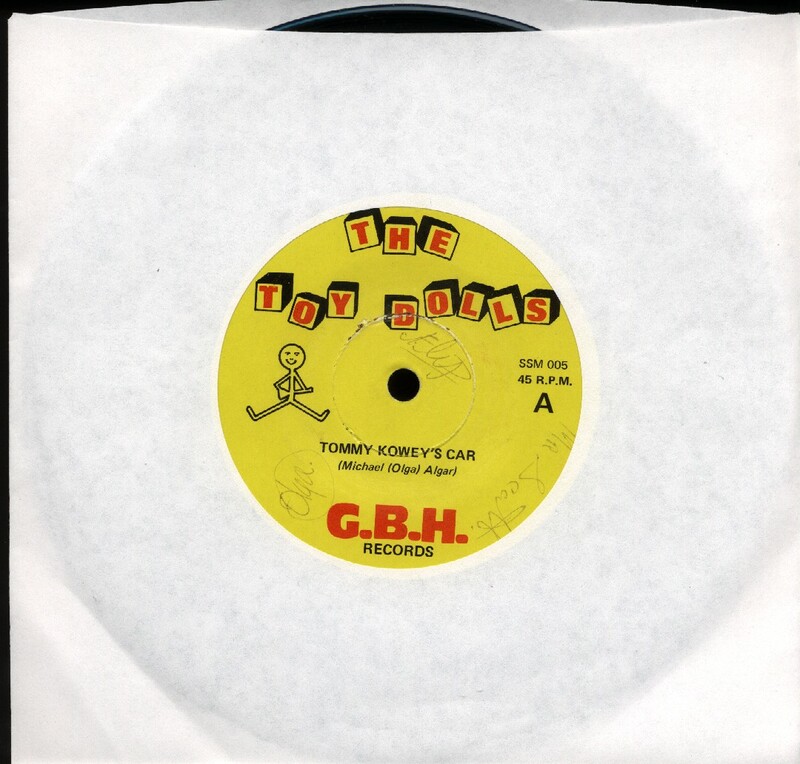 Toy Dolls - Tomey Kowey's Car 7" GBH Records SSM 005 1981 Signed in 1981 by all original band members. This is the first 2 track Toy Dolls 45. I know exactly what you are thinking... That record never had a p/s!! The p/s is hand made and was *almost* definitely made by a fan. I don't know if the band saw it when they signed this record but it would have been great if they'd signed the sleeve as well. Therefore endorsing it's legitimacy. 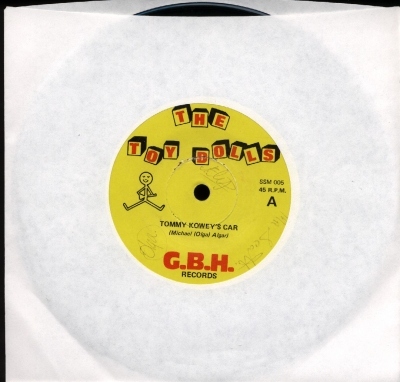 I don't own this record any more so please don't email me wanting to buy it. Click on the image for a larger copy of the signatures.